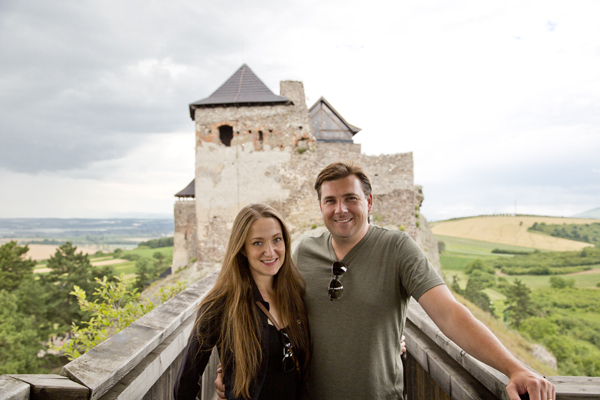 If I can take you back again to our summer European adventure, I would like to present to you my favorite castle in all of Hungary: Boldogkő Vár. 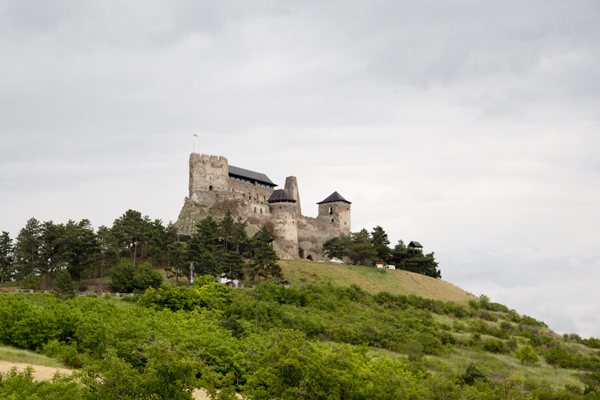 With three hundred and sixty degree views of the Zemplén Hills and the Hernád valley Boldogkő Castle (its name literally translates into “Happy Rock Castle”) is situated on a lovely solid rock hill overlooking the village of Boldogkőváralja. 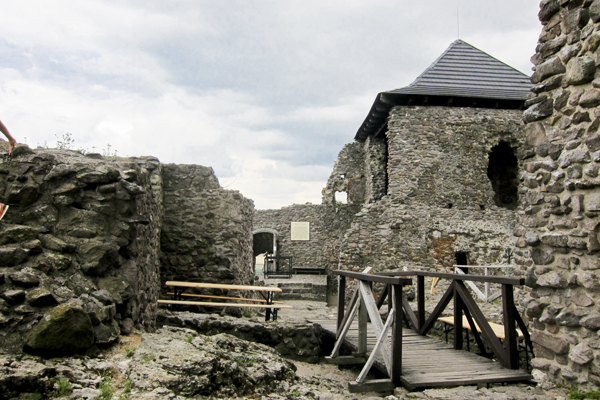 It was originally build in the 13th century but was ruined in the 17th century. 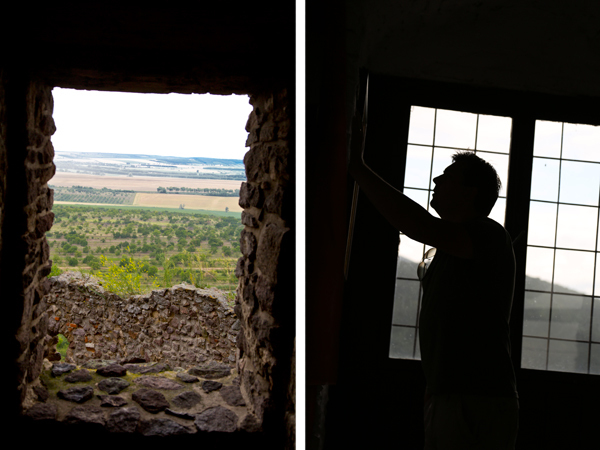 They have been doing restoration on the castle for years and each time we return to Hungary there is something new to see. 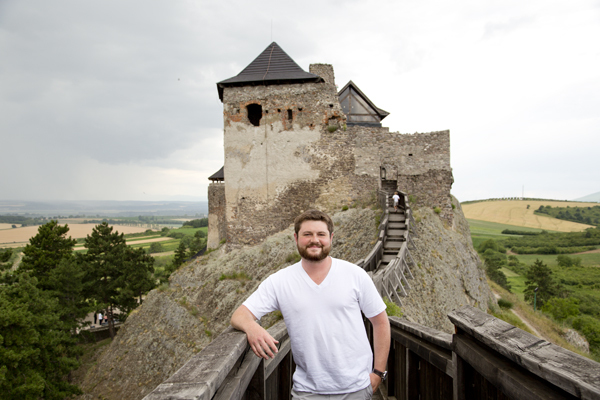 Its name serves the castle well because I can honestly say that Happy Rock Castle is one of my happy places. 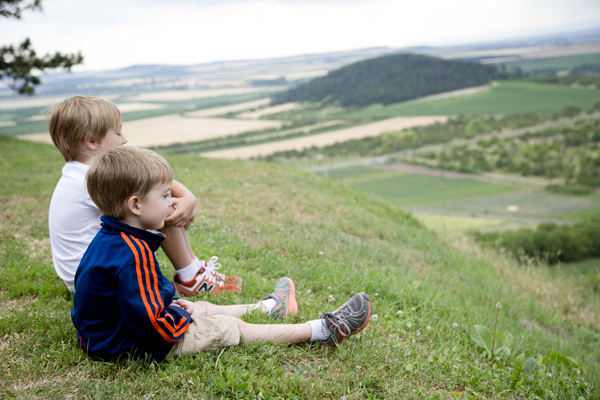 The boys taking in the gorgeous views. 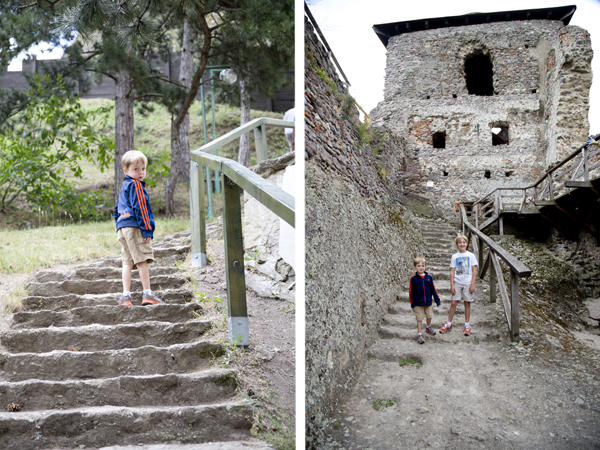 Climbing the stairs to get to the castle and climbing more stairs once inside. 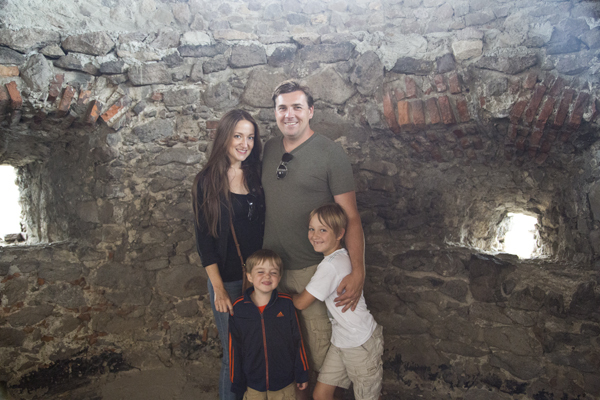 My family enjoying the castle tour. The castle itself is not as large as many that we visited, but it is laid out in such a way that there is so much to see and do from walking out the long bridge to a lookout tower, climbing the stairs to the top of the turret, turning the large water wheel or exploring the underground dungeon. 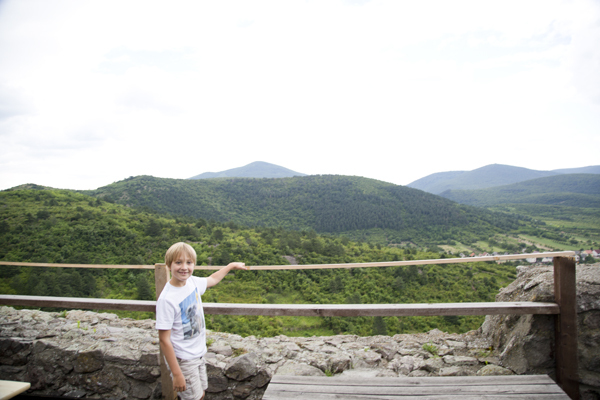 The views from the lookout tower are absolutely stunning! 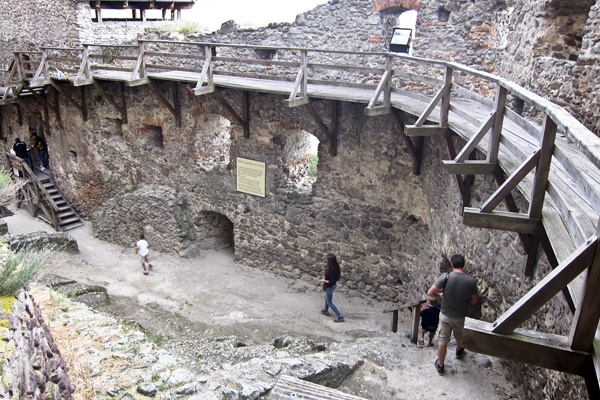 The view from the main fortress to the lookout tower. Me in the lookout tower and the boys making their way down the bridge. 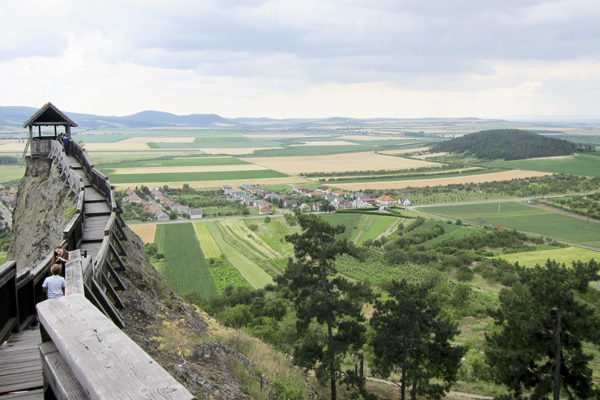 From the lookout tower back to the main fortress. 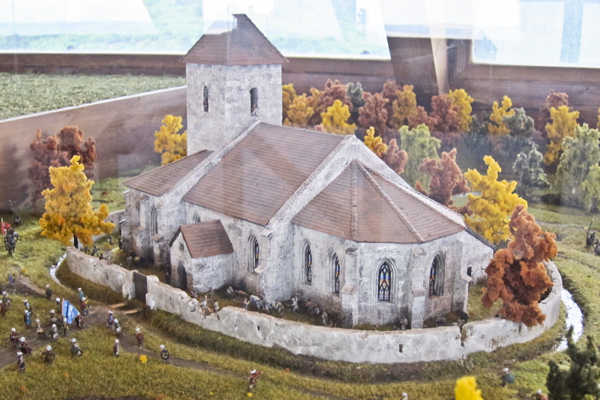 The indoor museum is extremely well done, especially for a castle of this size. 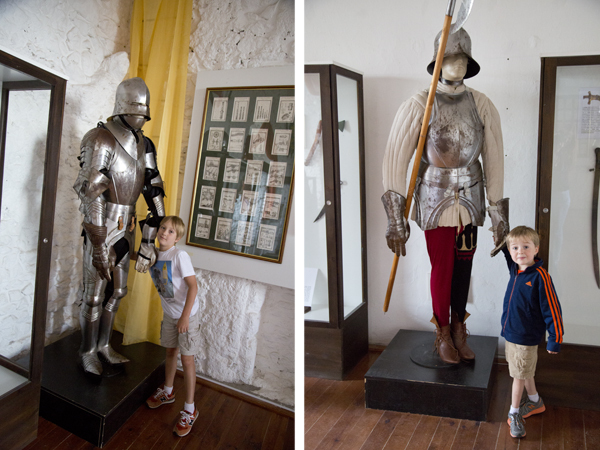 They have armor both on display and that you can try on, weapons, old coins, coats of arms, textiles, maps, architectural elements and so much more. They boys absolute favorite part of the castle museum were the scale models that are on display in the museum’s top floor. The models depict major battles in Hungary’s history and they are extremely well done being both beautiful and educational. 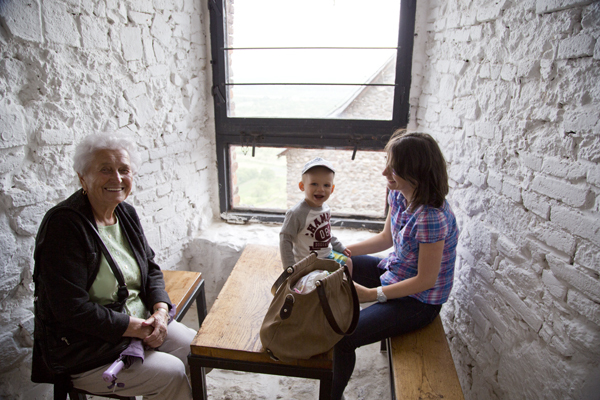 Dédi sits inside the museum with Kori’s wife, Rita and their son who is such a sweetheart! 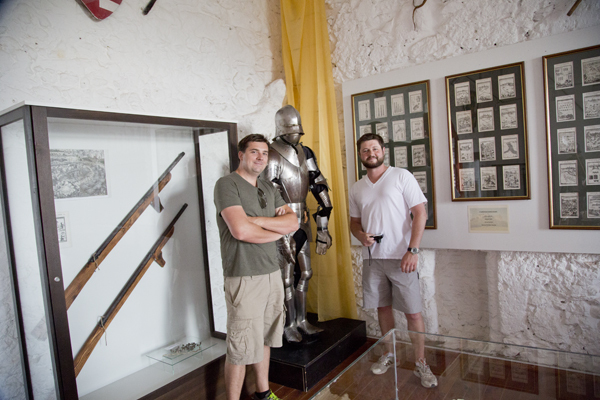 The boys posing with suits of armor. 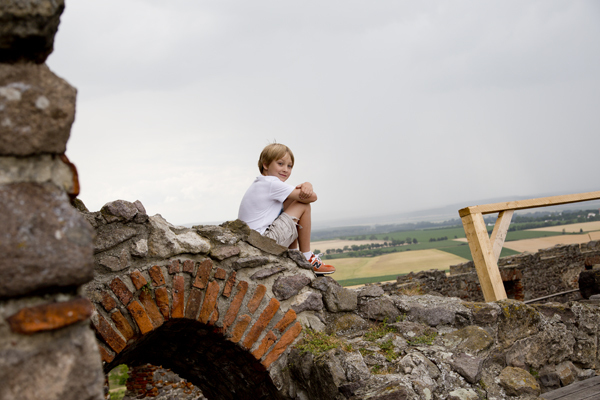 View from a castle window and David reading a map on the wall. Watching the rain and trying on armor. Sitting inside near the scale models. 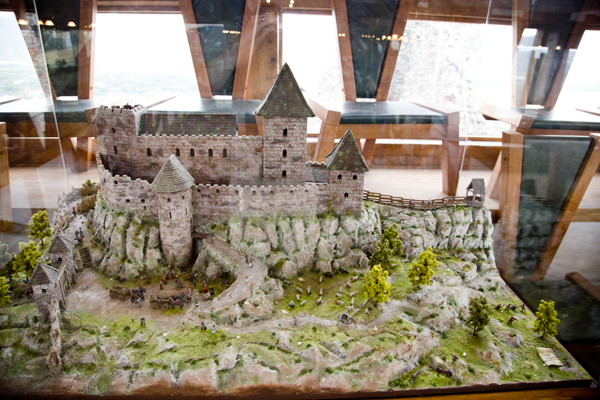 Main model of the castle. 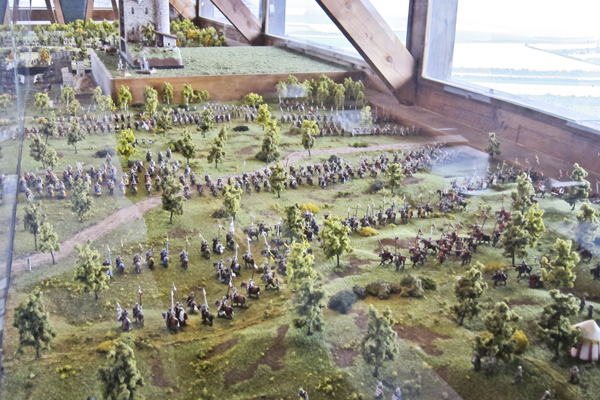 One of the many battle models. 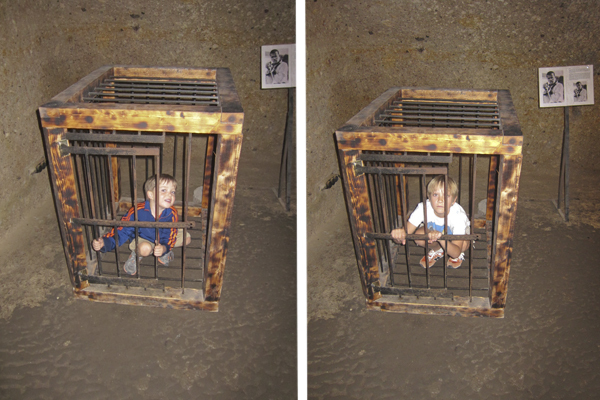 The underground dungeon part of the museum has the typical dungeon displays that you will find in most restored castles, but it also has a gem and mineral exhibit that is absolutely fascinating and well worth seeing. 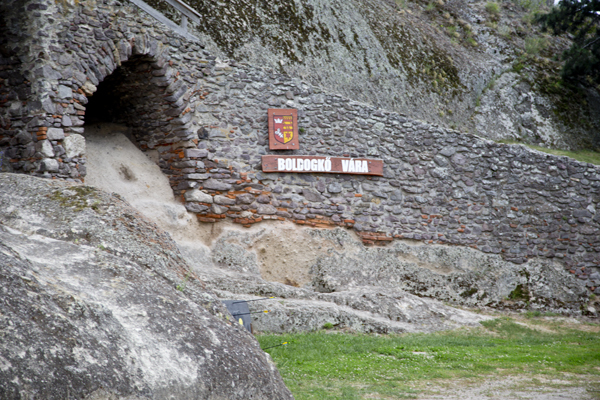 There is also a fantastic restaurant, Castrum Boldua Étterem, which is located at the foot of the castle just before the entrance to the main castle in a cave that is carved into the mountain and was part of the castle’s original basement system. Oh no! Locked in the dungeon. 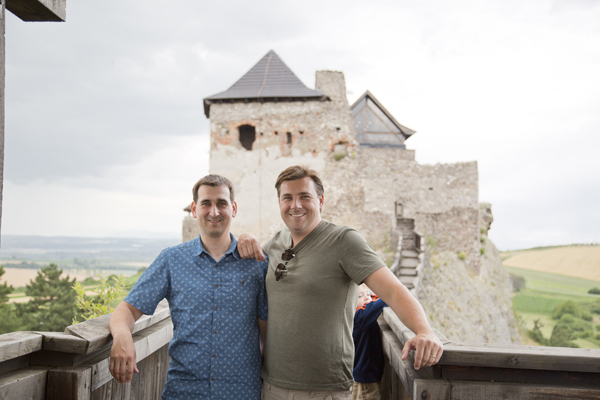 We visited the castle with Dédi, David’s cousin, Kori, and his family (David and I were just talking and I don’t think that I have ever been to Boldogkő Vár without Kori. We have gone together every time that I have been back to visit). 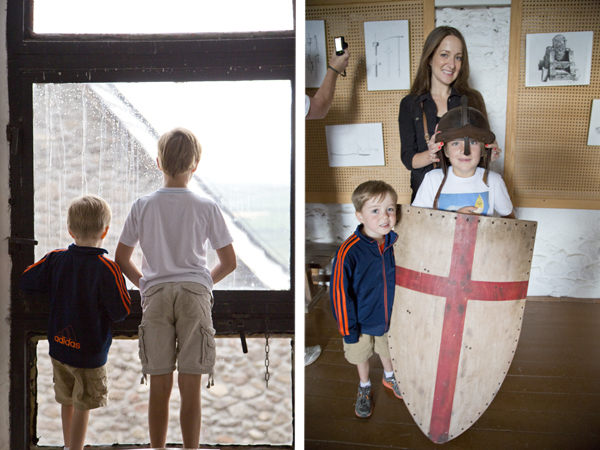 It had been threatening to rain all day and just after we all walked out to the lookout tower, the skies opened and it started pouring, so we quickly made our way inside of the museum to wait out the storm. 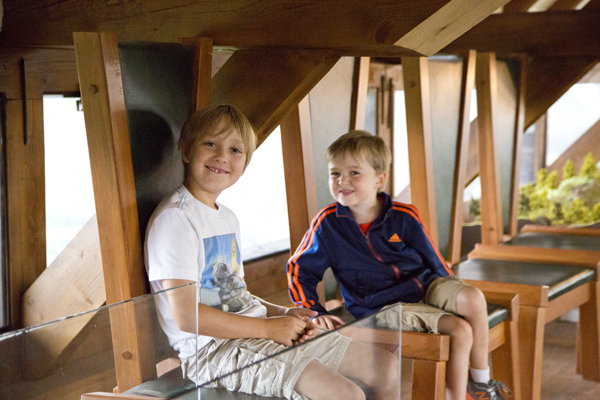 Even after the rain let up, the boys were content to take their time exploring the museum. Honestly, these are maybe a tenth of the pictures we took that day. 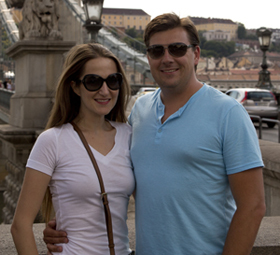 It was so much fun and I will absolutely return every visit I make to Hungary. It is that cool. 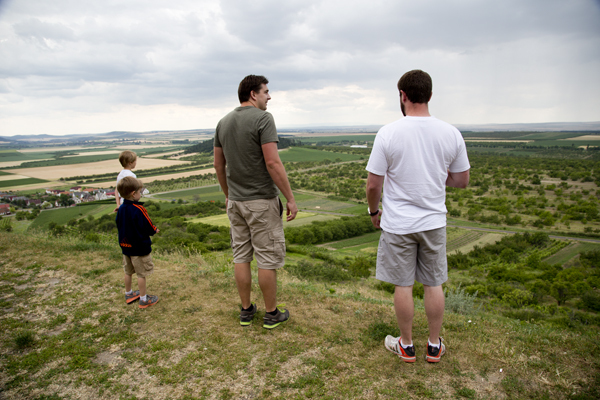 If you visit the northeastern part of Hungary, the castle is an absolute must see. 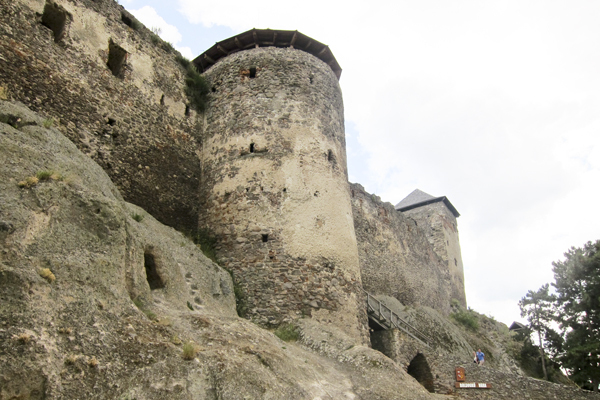 Climbing the interior castle walls. 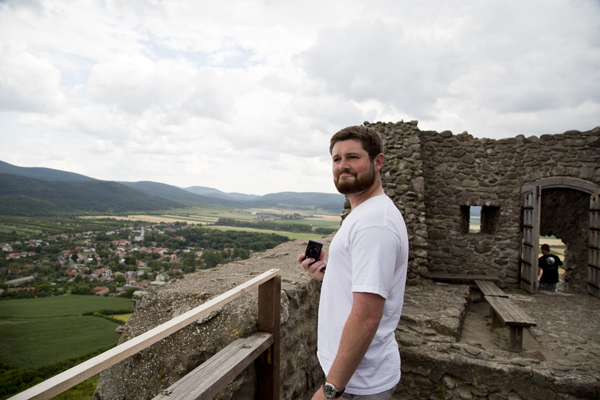 As you can see, Mat was impressed with the view. 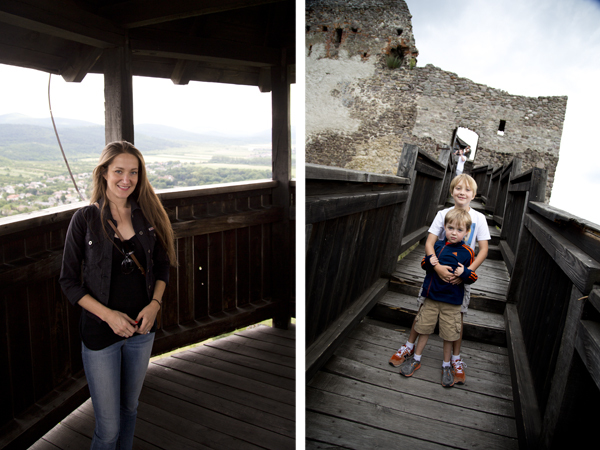 Walking along the interior walls of the castle. 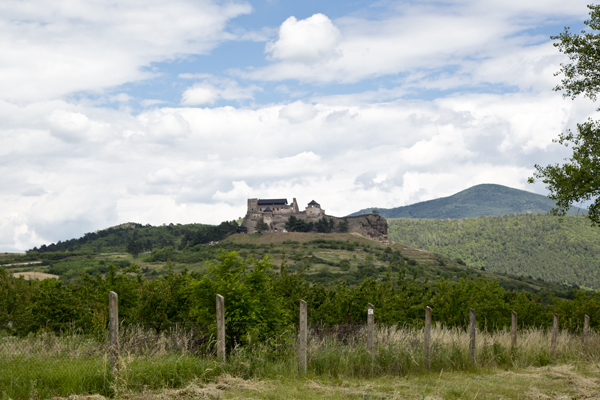 Castle view from a distance on our way home.